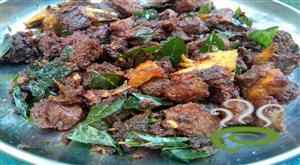 Kappa Erachi Koottu is a mashed spicy concoction of cooked tapioca with beef, also known as kappa beef biryani. 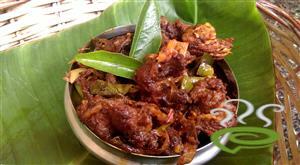 Kappa Erachi Koottu is a favorite from God’s own country and is widely popular as a Thattukada dish. 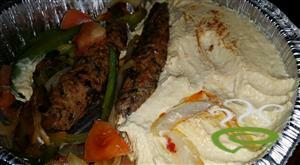 The dish can be savored as a whole meal or as a snack. 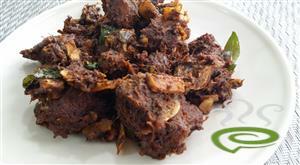 Beef cubes are cooked with salt and turmeric. Cooked tapioca is kept aside after draining off water. 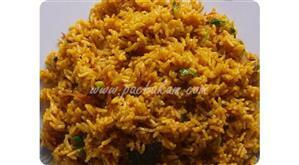 Grated coconut is roasted with garlic, pepper corns and other ingredients and ground to a fine paste. 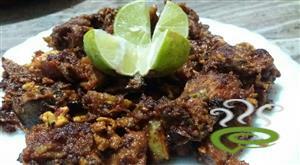 Take a wide pan and stir in cooked beef, cooked tapioca and the spicy coconut mixture. Adjust the level of salt and cook for a few minutes gently blending Kappa Irachi Koottu. Try the wonderful dish with loved ones. 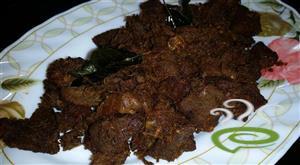 Cook the beef pieces along with salt and turmeric powder in a cooker. Roast grated coconut, small onions, garlic and peppercorns in a pan. Add coriander powder and chilly powder and fry. Grind it dry in a mixer grinder. Cook tapioca pieces along with salt and water, till done. Heat up a big vessel. Add the cooked tapioca, cooked beef and the ground mixture along with water and mix well. Mix well and allow it to cook for sometime. 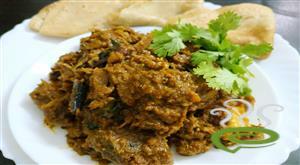 Remove from the kappa beef biryani from flame. My husband said- "Excellent Darling!!!"